There’s almost nothing worse than anticipating a hot, aromatic, full-bodied cup of your favourite coffee and instead being confronted with a lukewarm, watery, cup of bean juice. The perfect temperature… Is there such a thing? When it comes to coffee, temperature is more important than you might think. For one, you obviously don’t want to burn your tongue – there’s nothing worse – but the real reason why temperature is so important is for the extraction of your coffee grounds. Too hot and you will burn your coffee; the result being quite literally a burnt, bitter taste. Too cool and the coffee will not extract properly from the grounds and it will taste watery and weak. Water boils at 212 °F. This means if you are someone that waits for your water to boil, and then pours it directly onto your coffee grounds, you are most likely burning your coffee on a daily basis. It might be subtle, you might not notice the taste, but it also might be the reason why you are assaulting your daily coffee with a plethora of milk and sugar. (food for thought). **I always cringe when I see people doing this, so please for the love of coffee! – let your water cool before starting your brewing process. So, what’s hot in coffee makers right now? If you’ve been paying attention to the coffee industry in recent years, then you’ve noticed an influx of single serve coffeemakers. Promising to deliver a fresh single cup of coffee every time- it has ousted the old fashion coffee maker with a carafe of drip brew (being kept warm on a hot plate for hours) as the nation’s favorite. Most single brewers use pods (small and sealed plastic containers of “freshly” ground coffee) to make a cup of coffee, although others just use scoops of ground coffee. Their greatest strength is convenience as they are so easy and quick to use. But there are some disadvantages to these coffee makers. As far as we are concerned the biggest drawback is that many single serve coffee makers do not brew coffee at the correct temperature. As we said at the start of this post, the best brewing temperature for coffee is between 195 – 205 °F. Unfortunately, many models are brewing coffee at around 192 °F. If you’ve ever tasted coffee that’s been sitting on a hot-plate or has been reheated you will agree that keeping your coffee hot is a much better option that re-heating it. Don’t use a hot plate: Built into the conventional large-pot coffee makers, hot plates over extract your coffee by heating it from the bottom. This makes your coffee taste bitter and leave you with a dry mouth. Do not microwave your coffee: Besides the fact that you will most likely burn your hand sooner or later microwaves radiation-style heating is also uneven. It will overheat the top of your coffee and leave the bottom cold – again the bitter taste, with a hint of burnt coffee as well. Not appealing. A cup sleeve: Also known as a ‘mug cozy’– is a cute little piece of fabric that covers your cup, acting as an insulator. 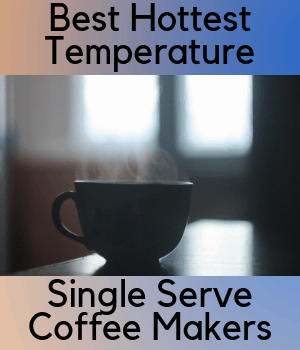 This is a great and inexpensive way to not only keep your coffee hot, but keeps your hand from getting burnt as well – especially if you are reading this and like your coffee as hot as possible. There are a variety of these to choose from all over the web with fun and personalized styles. **A makeshift mug cozy can be made by wrapping a sweater, scarf or a thick piece of fabric around your cup. Immersion heater: Although your coffee will take on the appearance of a science project, an immersion heater is a tool in which you immerse in your coffee and it heats it from the inside. This works different to a hot plate because the heat is evenly distributed within the coffee. Travel mug: Or Thermos or tumbler – all have the same concept; insulation. This is the most common tool for heat maintenance and can be made from stainless steel, plastic or silicone. **Even though it is the simplest method, using a good, insulated travel mug can keep your coffee piping hot for up to 6 hours depending on the manufacturer, making it the best option for those with indelible hot coffee needs. Electric travel mug: Much like the-famed heated blanket, the electric travel mug specializes in redundancy. Why only keep your coffee warm when you can keep it warm and heat it at the same time? Who knows exactly why, but it’s obvious that this method works quite well can be purchased with car adaptable or USB plugins making them somewhat portable and fully excessive. But hey, if you’re reading this you like your coffee hot as can be, right? Take-out Cup Car warmer: This is more a useful and innovative alternative to the electric travel mug. Great for if you are picking up a paper cup of coffee from the drive-thru or local coffee shop. It plugs into your car charger or USB port and electronically insulated your cup so you can enjoy your stop-and-go commute to work with some hot coffee. The perfect pairing! Preheated cup: Although microwaves are not to be used for heating / re-heating coffee, they can still be handy in keeping your coffee warmer for longer. Microwave your coffee mug for 30 seconds – 1 minute. This saves some of the heat coffee loses naturally when you pour in into a cold mug. Be careful though – hot! Magic Metal Beans: I remember seeing a version of these on the popular television show ‘Dragon’s Den’ called ‘Coffee Joulies’. What they are, are pieces of metal (around the size of a teaspoon) that absorb and reintroduce heat into your coffee, sustaining the temperature for longer. You put them in your coffee, they absorb the heat from the coffee and feed in back into the drink over time. This maintains a steady temperature for up to 5 hours. Piping hot coffee is great. It’s the way it was meant to be consumed. And with the cold weather closing in, it’s essential to have a plan in place to be able to enjoy that steaming hot, aromatic brew wherever you are. It warms my heart to say that you are now armed with all the information necessary to complete your mission of finding and confidently purchasing the hottest single cup coffeemaker! And now, let’s have a look at the top choices. This machine is great because it has so many useful features. Not only can you just use hot-water -which is helpful because now and again you may want to take a coffee break and drink tea instead. But it has two separate water systems. One large, that brews up to 12 cups and one smaller, single-cup area. You can literally brew two different drinks at the same time. It’s a feature I never thought of but is actually so handy. The large-pot area also has heating settings (low-med-high) so you can keep your coffee at a reasonable temperature and not ruin the taste. This is a true single serve machine. Small, brews quickly (less than a minute) and uses pods. 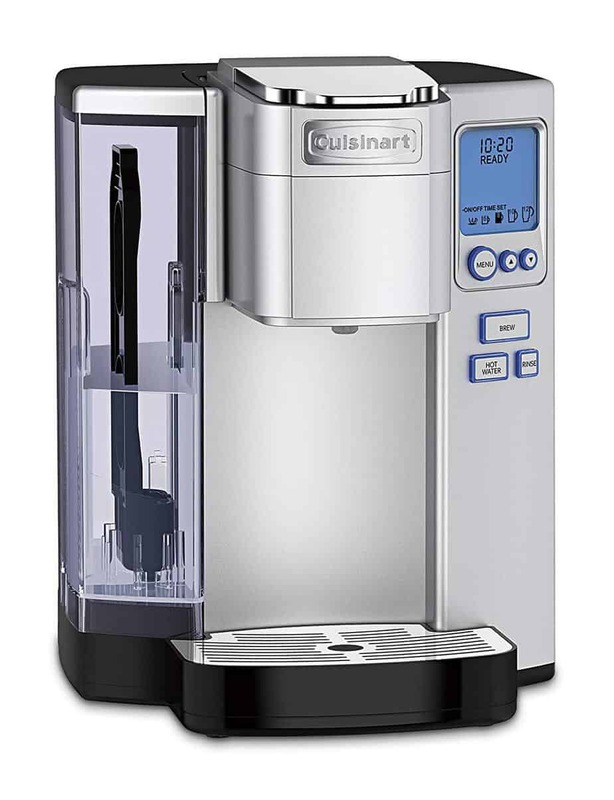 It has a few cool features like hot-water, brew temperature and a rinse feature; which is much easier than running a whole cup of water to rinse out the machine. It uses the same size cups at the Keurig so any k-cup will fit in it. It’s a very handy little machine, but I’ve been reading a lot of reviews saying that the machine can cause coffee splatter, which is something I have experienced myself. The trick is to use a taller mug, glass or personally I like to use a travel mug; which is also great for keeping your coffee hot! As far as a multi-faceted single-serve machine, this one has some very neat features. Of course, the brew temperature setting is essential for brewing a perfectly hot cup of coffee, but it is not catered only towards coffee. 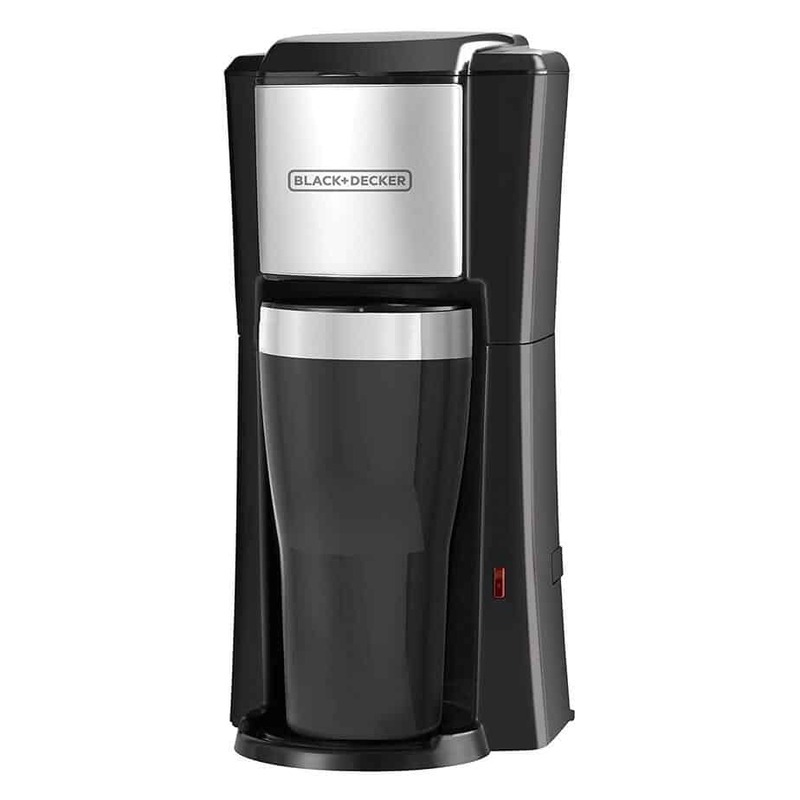 It uses a pod brewing system and is compatible with both k-cups and Nespresso (for lattes and other espresso drinks). 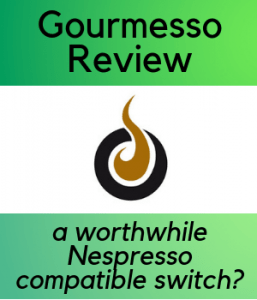 Along the theme of espresso drinks, The ‘Gourmia’ comes with its very own milk-frother, which is a perfect addition to your specialty coffee drinks. If you’re someone that wants an array of options for their morning coffee, this little machine is perfect for you! 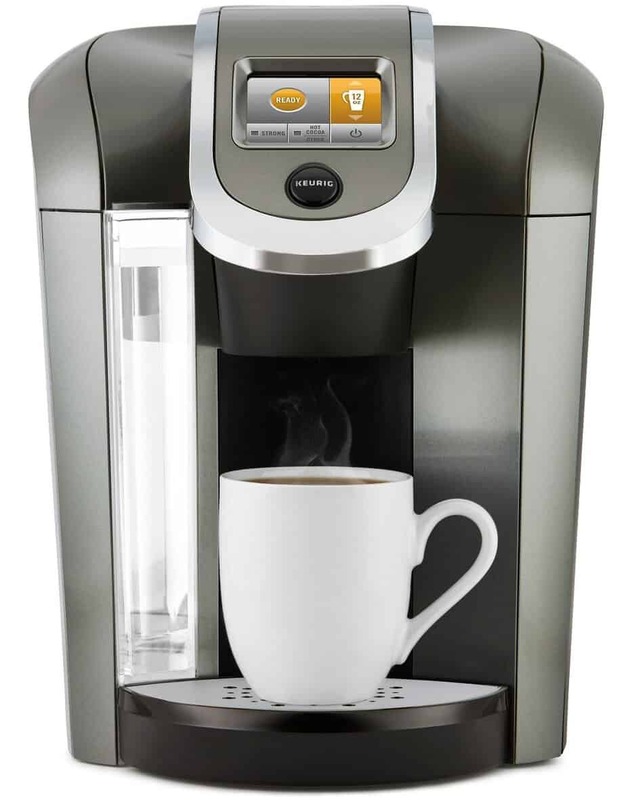 This single-cup machine from Keurig – taking only Keurig branded k-cups – is catered towards offices or shared spaces. Its sleek, modern design makes it look very professional and offers an extra-large water reservoir; 18 cups of coffee before you need to refill it. 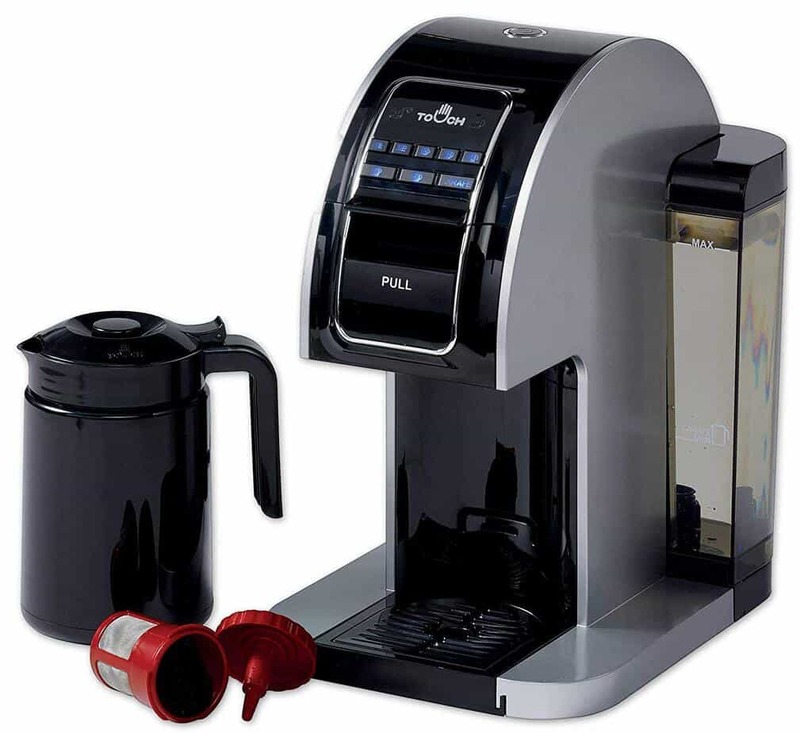 Its LCD touchscreen offers a timer, language and four, cup size options. But maybe the most important feature is the adjustable brew temperature. Not everyone needs piping hot coffee, so the temperature control makes it useful for those who are steeping a cup of tea, making hot cocoa or cooking their morning oats. 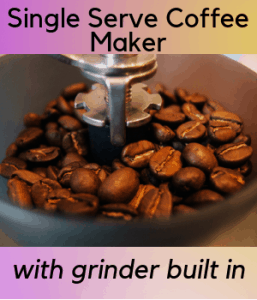 You get what you pay for with this machine and it comes from a trusted and reputable company with long-standing experience in the single-cup field. For espresso lovers, this machine is the real deal! 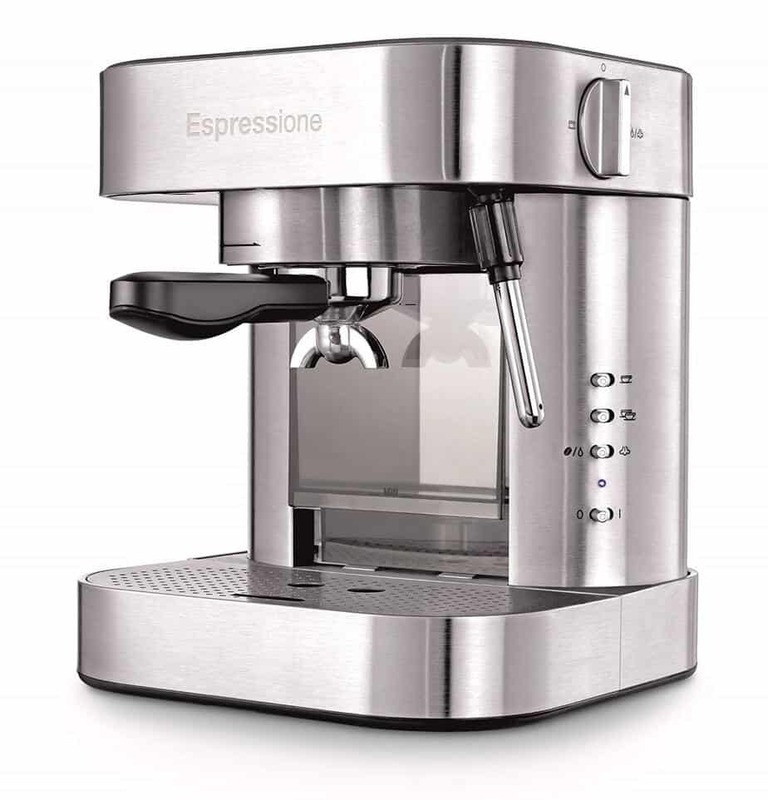 A true at home, professional-grade espresso maker with high powered steam pumps; made in Italy. A thermos style heating system, ensures consistent temperature and the high-powered steam valve makes sure milk is perfectly frothy and delicious. 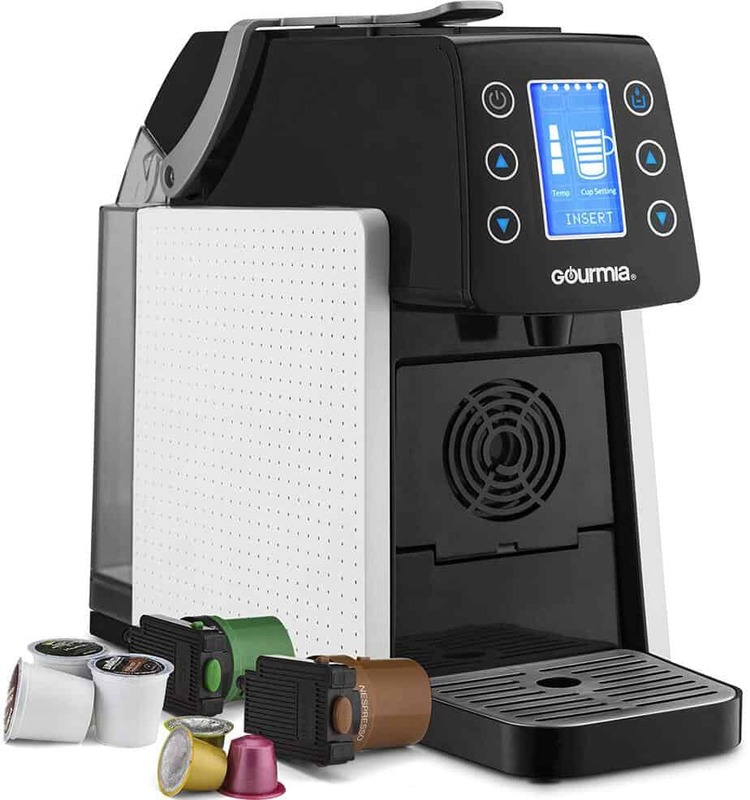 Because this is an at home machine, it has the option of using ground coffee or espresso pods. And keeping in true Italian fashion, the manufacturers have thought of every aspect of the coffee experience with a heating grid on top of the machine that keeps your cups warm. This allows your espresso to not lose any heat when entering your cup and ensures a delicious, perfectly hot espresso every time! This small and compact little machine does exactly what it should; brew a nice, hot cup of coffee. It’s the perfect machine for active, on-the-go type of people. erfect for keeping your coffee hot during your commute to work and the shut-off feature makes sure the machine is off once your coffee is brewed, so you never have to go back home, forgetting if you’ve turned off your coffee maker or not. There’s no waste involved because it does not utilize pods or k-cups. Just fill up the metal coffee filter with your coffee grounds, brew and take off for the day! This pod style single serve coffeemaker is screaming with options. The removable water reservoir, multiple brew size options, brew timer, temperature control, nightlight, wallpapers and a large touch screen monitor will leave you with a lot to play with. At the top of the list is the strength control. Usually with pod style brewers, your strength options are fixed, but in addition to being able to adjust brew strength you have five temperature options as well. This diversity of options comes in very handy when you have guests over and pairs nicely with the machine’s capabilities for single serve size options. You can actually brew 12oz cups, 18oz travel mugs or 30oz carafes with either the appropriate pod or ground coffee! 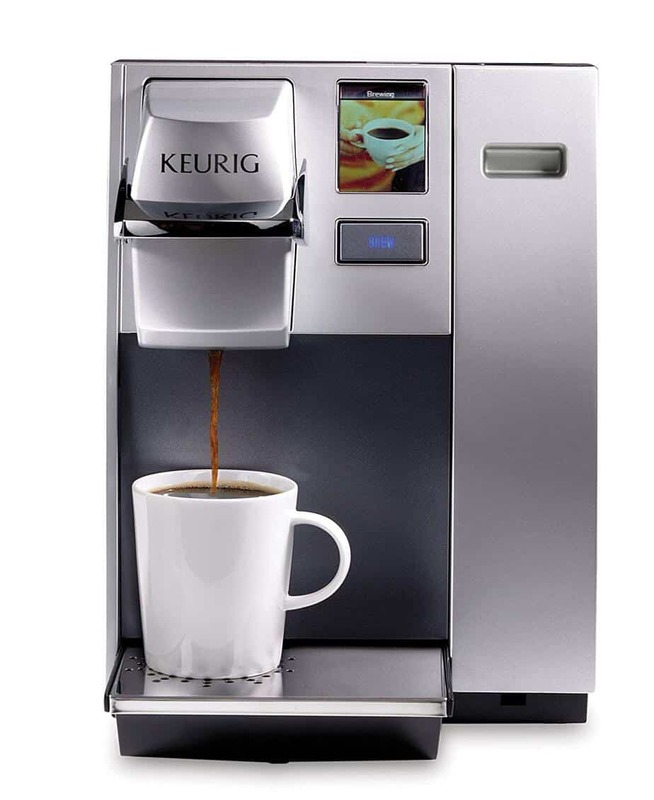 If options are what you like, The Keurig K575 has you covered! The days of having to sacrifice coffee shop quality for a quick, at home cup of coffee are over. ‘The Touch Plus’ offers full-bodied, perfectly extracted coffee that starts brewing in just 20 seconds! Choose from eight cups sizes and enjoy your coffee, just the way you like it. Perfect extraction is all about temperature and that is defiantly something this machine offers. Brewing coffee at an optimum temperature of 200 degrees Fahrenheit, give you a rich, full-bodied and perfectly extracted cup of coffee every time! 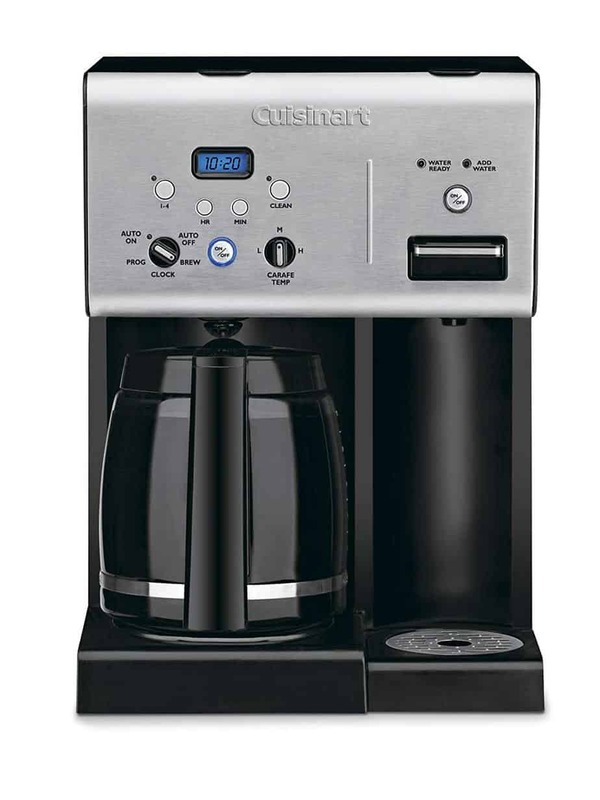 This single cup coffeemaker is a great machine for the price point. Offering you all the features you need to enjoy a nice hot cup of coffee that brews at a steady 176 degrees Fahrenheit. Not a piping hot brew temperature, but also not too hot as to burn your tongue! You can make up to 10oz at a time and enjoy your coffee in 3 minutes. It supports most sized k-cups and k-cup filters as well. 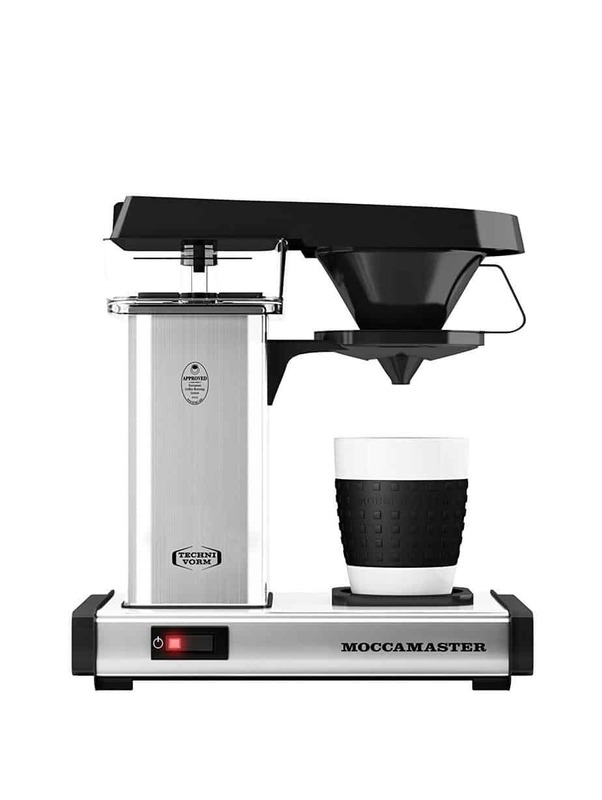 A great, single cup machine for small space and does the job! Engineering is the word that comes to mind when I think of this single-cup machine. Quality over quantity when it comes to features; as is characterized by the one button brew style. Built in the Netherlands, this is truly an at home barista, that utilizes such technology as copper wiring to bring water up to a perfect temperature much quicker than most conventional single serve machines. 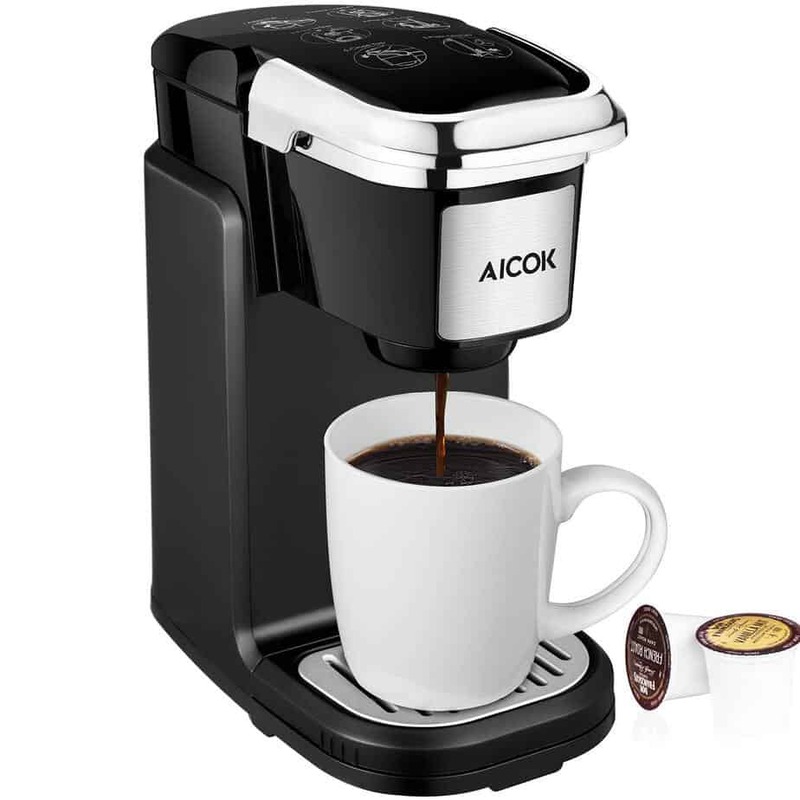 And without any pods or convenience gimmicks, this machine brews a great tasting, full-bodied coffee every time. Perfectly heated and extracted pour-over coffee is delivered using a shower head water system to fully cover all of the grounds extracting the most flavour possible. When you purchase this machine it also comes with an insulated thermal mug to keep your perfectly heated and brewed coffee, hot for longer and the entire system comes with a 5-year warranty. No pods, no hot-plate, no gimmicks… Just great coffee!